The following handbook is a compilation of the characteristics of the HISCALE instrument suitable for supporting the scientific analysis of its data. It is intended to supplement the already published literature. Key items needed to establish the physical observations are included in this handbook. Geometries, passband, thresholds, look angles, and efficiencies are given for nominal instrument performance. It is intended that sufficient information be provided here to allow correct interpretation and/or recognition of both anomalous and nominal performance. 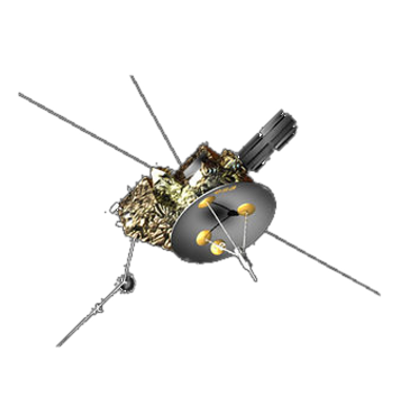 The Heliosphere Instrument for Spectral, Composition, and Anisotropy at Low Energies (HISCALE) is designed to obtain measurements of interplanetary ions and electrons. The ions and electrons are detected by five separate solid-state detector telescopes oriented to give essentially complete pitch-angle coverage from the spinning spacecraft. Ion elemental abundances are determined by a DE vs E telescope using a 5 mm front detector element in a three-element telescope. Inflight calibration is provided by radioactive sources mounted on telescope covers which can be closed. Ion and electron spectral information is determined using both broad-energy-range rate channels and a pulse-height analyzer for more detailed spectra. The instrument weighs 5.775 kg and uses 4.0 W of power. The use of low energy solar particle fluxes as probes of the morphological changes in coronal and interplanetary magnetic field structures as a function of heliolatitude. The study of solar flare processes via the diagnostics provided by electrons of both relativistic and nonrelativistic energies and by nonrelativistic ions measured over all heliolatitudes. The achievement of increased insight into the basic astrophysical question of solar elemental abundances by means of measurements of the chemical composition of low-energy nuclei emitted from the sun in the active region band and at high heliolatitudes, and comparison with similar measurements made in the ecliptic plane. The investigation of the interplanetary propagation of low energy solar particles by measurements of the anisotropy and composition parameters as functions of heliographic latitude. Comparison of nonrelativistic electron events with on-board radio measurements, providing diagnostics of outward-propagating wave-particle interactions at different latitudes in the interplanetary plasma. The study of physical processes that can produce particle energization within the interplanetary medium off the ecliptic, and the comparison of identified processes to those mechanisms previously identified in the ecliptic plane. The measurement of the quiet-time low-energy particle populations in the interplanetary medium, and the possible separation of the solar, galactic, and planetary magnetosphere components by their different heliolatitude variations. 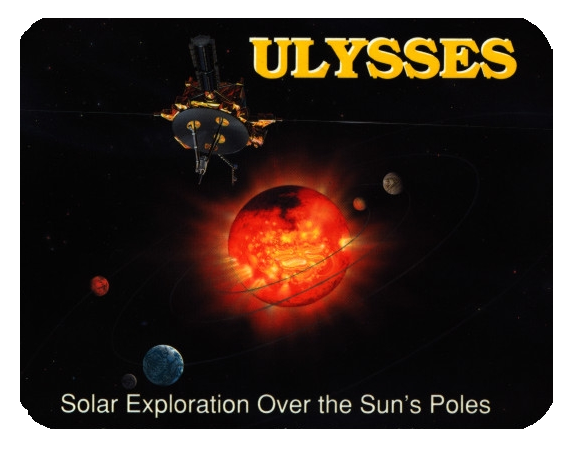 The application of the new knowledge gained from Ulysses investigations of the global dynamics and structure of the heliosphere to attain a better understanding of the influence of solar activity on the terrestrial environment and its technological systems. Armstrong, T. P., Hawkins, S. E., and Shelley, G., HISCALE Data Analysis Handbook, JHU Applied Physics Laboratory, 1991. Armstrong, T. P., Passbands & Efficiencies for LEMS, LEFS and WART Channels, University of Kansas, May 1992. Buckley, J., Geometric Factor Study for the Deflected Electrons of HISCALE, University of Kansas, April 1993. Curtis, D. W., ISPM/Ulysses LAN Data Processing Software Status, Dec. 1986. Fisk, L. A., and Axford, W. I., Proc. Symp. Study of the Sun and Interplanetary Medium in Three Dimensions, NASA/Goddard Space Flight Center, October 1976. Fort, D. E., CD Analog Crosstalk, August 1984. Gold, R. E., LAN Accelerator Calibration Test Plan, August 1991. Guynn, D. R. Jr., LAN Experiment Data System Performance and Interface Specification, June 1992. Kohl, J. W., and Crawford, J. H., Calibration of Solar Polar Energy Model LAN-2B Detector Head at GSFC Low Energy Accelerator, July 1986. Lanzerotti, L. J., The ISPM Experiment for Spectral, Composition and Anisotropy Measurements of Charged Particles at Low Energies, Astronomy & Astrophysics Supplementary Series, January 1992. Maclennan, C. G., User's Guide to LAN 360, AT&T Bell Laboratories, August 1992. Maclennan, C. G., and Armstrong, T. P., LAN Cover-Close Calibrations, AT&T Bell Laboratories, May 1995. Simnett, G. M., and Gold, R. E., The RTG Background in the LAN Experiment and the Shielding Required to Control It, April 1980. Software Interface Specification, Common Data File, Jet Propulsion Laboratory, April 1993. Software Interface Specification, Supplementary Experimental Data Record, JPL, February 1992. Townsend, J. P. Jr., Ulysses Pulse Height Analysis Documentation, JHU Applied Physics Laboratory, July 1990. Tappin, S. J., HISCALE IDL Display System (IDL-HS), University of Birmingham, June 1992. Tappin, S. J., HSIO-HiScale I/O Library, June 1991. Ximenez de Ferran, S., Ulysses Spin Reference Pulse, May 1985.